By 2050 as much as 50% of the UK population could be obese, at a cost of £50 billion a year. 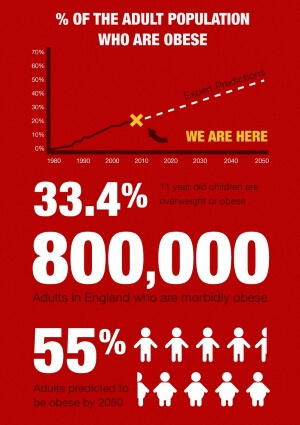 Obesity is a major issue that affects more and more adults and children across the UK each year. Tackling obesity seems like an enormous job. But it’s not impossible. By understanding how we can all be a bit healthier and a bit fitter, we can avoid the prediction that, by 2050, 50% of people in the UK will be obese. The National Obesity Forum’s goal for National Obesity Awareness Week 2014 is to help people to better understand obesity and the simple ways that it can be tackled. National Obesity Awareness Week is a national call to action – let’s make obesity a thing of the past, not a prediction for our future. The National Obesity Forum knows that, if we each make relatively small changes in how we live our lives – eating more healthily, being more active – we can make a big difference to our health and wellbeing. But obesity is not just an individual problem, it’s a national problem. The societal cost of obesity is expected to reach £50 billion by 2050. And so there is also an important role for Government in helping us all to make healthy changes to our lifestyles. 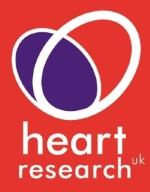 Opportunities to get involved by running your own awareness raising event. So, kick off 2014 right, and make the small changes to your lifestyles that will make a huge difference to your life! JOIN US IN OUR NATIONAL NEW YEAR'S RESOLUTION TO TURN OBESITY AROUND! WHAT WILL YOUR RESOLUTION BE? National Obesity Awareness Week is organised on behalf of the National Obesity Forum, a charity of healthcare professionals committed to raising awareness of obesity and providing education and training on obesity management. We’re also delighted to have the support of some of the leading charities and businesses in the country. National Obesity Awareness Week is organised by The National Obesity Forum, and delivered with a team of partner organisations and sponsors. 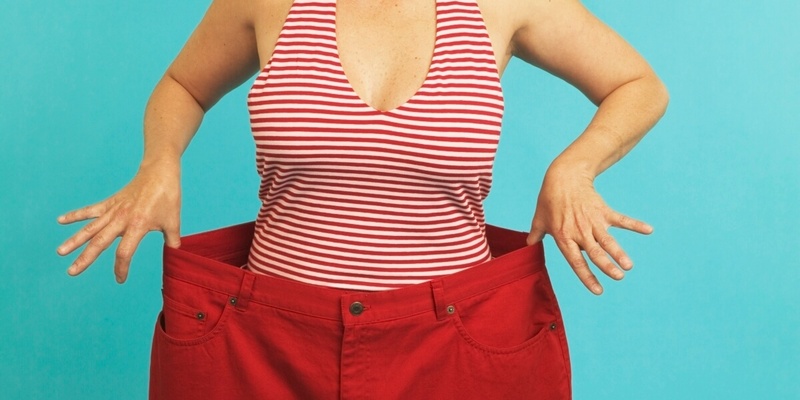 If you know that you could benefit from losing weight, you are probably looking for some top tips to help you get started with your weight loss plan and also to stay on track once you’ve got going. While we all know that keeping fit and taking more exercise is vital for our good health, it can be difficult to stay motivated.